Goosebumps 2: Haunted Halloween is a 2018 American horror comedy film directed by Ari Sandel and written by Rob Lieber, from a story by Lieber and Darren Lemke. 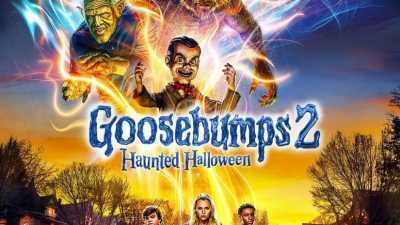 A sequel to 2015’s Goosebumps, it is based on the children’s horror book series of the same name by R. L. Stine and stars Wendi McLendon-Covey, Madison Iseman, Jeremy Ray Taylor, Caleel Harris, Chris Parnell and Ken Jeong, with Jack Black reprising his role from the first film. The plot follows two young boys accidentally releasing Slappy the Dummy and the Goosebumps monsters in their town, causing a wave of destruction on Halloween night.